Alberts, Robert C. The Golden Voyage: The Life and Times of William Bingham, 1752-1804. Boston: Houghton Mifflin Co., 1969. Bingham, William. A Letter from an American, Now Resident in London, to a Member of Parliament on the Subject of the Restraining Proclamation. 2d ed. London: J. Stockdale, 1784. Brown, Margaret L. Mr. and Mrs. William Bingham of Philadelphia. Pennsylvania Magazine of History and Biography 61 (July 1937): 286-324. ___. William Bingham, Agent of the Continental Congress in Martinique. Pennsylvania Magazine of History and Biography 61 (January 1937): 54-87. ___. 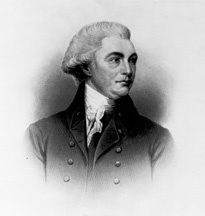 William Bingham, Eighteenth Century Magnate. Pennsylvania Magazine of History and Biography 61 (October 1937): 387-434.